Find the new and rust free southern car and truck parts you need at The Tank Bank in Union Hill, New York. With more than 25 years of industry experience, our family-owned-and-operated company provides specialty car and truck parts at very competitive prices. We carry a large selection of gas tanks, fuel pumps, sending units, filler necks, tank straps and radiators for both import and domestic cars and trucks. To ensure quality, our huge inventory of stock comes from brands such as Spectra Premium™, Airtex™, and AC Delco™. Rush and nationwide shipping is available through UPS™ or USPS™ and we provide free delivery in the local area. Visit our convenient location on State Route 104 - 3 miles east of Xerox Corporation™ near the Wayne Monroe County Line. Print this coupon to receive $5 off. 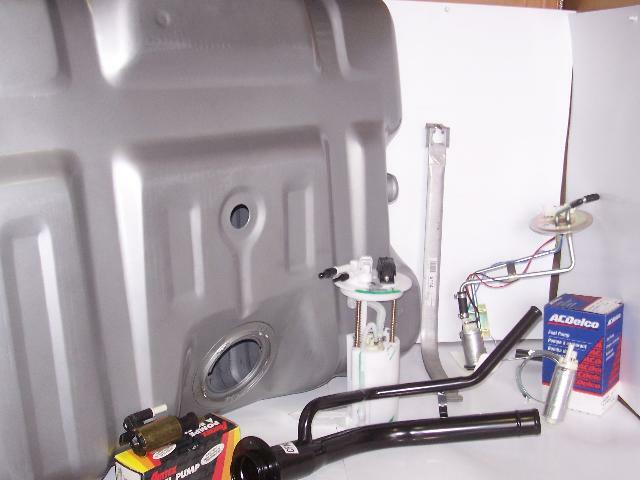 truck parts including gas tanks, fuel pumps, sending units, filler necks, and radiators.